Oh, I'm live? Excuse me. I have one more short to post that didn't hit my in-box until I'd turned in for the night. It is the new video for "Starlight, Starlight" by Exlovers. "Starlight, Starlight" is from the group's debut album, Moth, which is to be released in May on the Young and Lost Club label. 70 Bob Dylan songs by 70 artists, 4 CDs, though also available in a 31-song 2 CD set, commemorating Amnesty International's 50th anniversary. That's a whole lot of Bob Dylan covers. I'm still plowing though the set, but have found some seriously good keepers so far - Patti Smith's "Drifter's Escape", "Most of the Time" by WYMA Soul Corner favorite Bettye Lavette, and Raphael Saadiq's "Leopard-Skin Pill Box Hat". Though, this is a benefit record, every artist donated its work without compensation, and there are a whole lot of people in the world unjustly in prison and worse for the peaceful expression of their beliefs, so be like me and go buy a copy. Mariko Doi, bassist and sometimes vocalist for Yuck, and James Llewellyn Thomas, the drummer for The History of Apple Pie, have formed a side project called Parakeet. "Tomorrow" has been released as a free download. We recently featured Swedish band Hhappiness in our Midnight World Pop Scout series. The boys have released a video for their song "Bananas". Hhappiness - ¨Bananas¨ from Control Freak Kitten Records on Vimeo. The Soul Corner - "I Heard It Through the Grapevine"
I Heard It Through the Grapevine: Not one, not two but three hit versions by different major artists. That's a song. One of the best by the legendary Norman Whitfield/Barrett Strong Motown songwriting team. My man Marvin Gaye's 1968 version was actually recorded before Gladys Knight's rendition but released a year later. A much silkier approach, with the Funk Brothers house band being backed by the Detroit Symphony Orchestra. It was a huge #1 smash hit. But the first version of the song was by Smokey Robinson and the Miracles, not available in a format I can link here. How do you like your pop served? For my part, I have a broad (and to my mind, cultured) palate that accommodates fine pop music in multiple modes. But if you were to offer me an album of concise indie pop and punk pop songs, delivered with a swagger and superb musicianship and sung with the quality and verve a Stax Records soul singer, I'd say you were offering me a heaping plate of Amalgamation & Capital by Glasgow's Chris Devotion and the Expectations. Amalgamation & Capital is released on January 30 on Armellodie Records. This album is going to be in my player for a long, long time. 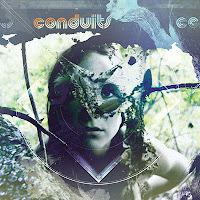 Omaha band Conduits describes itself as "Moody Atmospheric Shoegazey Drone". I can see that, but I'm going to add "Prog" (always looking to include at least one of the four P's) and especially I'm going to emphasize that these labels are perhaps descriptive, but in no way define the limits, of their music. The first song, "Top Of The Hill", starts out like Swervedriver, but just a little more wavery and with a fantastic female lead vocal. At 3:59, it's about the shortest song on the record. 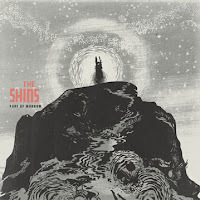 Download "Top Of The Hill". It gives way to some more expansive songs with art-rock tendencies, like "Misery Train", and some songs that stretch out and even boogie. Seriously, there doesn't seem to be anything this group isn't capable of. "Fish Mountain" is an 8-plus minute epic of postpunk guitar rock and an excellent example of the variety of sounds - crescendos of bass, drums and keyboards backing raging guitars, plus Robert Plant-worthy wails - found on this record. The 5:58 "Last Dirge"? Moody and atmospheric, for sure. This album is due out March 20 on Team Love Records. The band consists of J.J. Idt - Guitar, Nate Mickish - Guitar, Mike Overfield - Bass, Keys, Roger L. Lewis - Drums, Jenna Morrison - Vocals, and Patrick Newbery - Synth, Keys. This is a terrific record, very well put together and sequenced. I'm impressed with the talent, chops and especially the power of this band. They're going on tour with Cursive and Cymbals Eat Guitars starting in March. Check their website or Facebook for more information. You can preorder the record at Team Love Shop. You Won't are Josh Arnoudse and Raky Sastri from Cambridge, Massachusetts. They play clean, simple and charming music. There is a folk music base, but a bit too much pop is going on to be classified as folk. Given its lo-fi approach, I guess it most reminds me of some of the great 60s folk-rock from my past. And I'm happy about that. We recently had a big (for Seattle) winter storm, and a number of homes in the region lost power. I was not so unfortunate. But I think that if I had lost electrical service, I could have run most of my appliances off of Domestic Disturbances, the new LP from Washington, DC's The Jet Age. These guys put the power in power trio in all twelve tracks. Sure, you will find melody, hooks, a bit of jangle, and a few gentler lyrics. But the core of this album is big, chunky riffs, booming bass, vocals stretched to almost breaking and a drummer that tempts the listener to think this is a quartet with two guys working the percussion end. The Jet Age is Eric Tischler (guitars, vocals, keyboards), Pete Nuwayser (drums), and Greg Bennett (bass). Eric wrote Domestic Disturbances as a rock opera around the (imagined) consequences of relationships and conflicts with his spouse and two other women. The result on the thematic level are songs packed with emotional imagery. However, the performances are upbeat and entertaining. Most striking to me is the fluidity of this band. The songs leave plenty of room for each of the instruments, and the vocals, to stand out with complementary, but never competing, contributions from the other components. The result is a sound that is clean honest, with hints of structure from '60s and '70s arena rock without losing intimacy. It is a tough balance, but The Jet Age pulls is off with a swagger. Domestic Disturbances was released earlier this month on Sonic Boomerang Records. You can buy the album from the Bandcamp link as well. 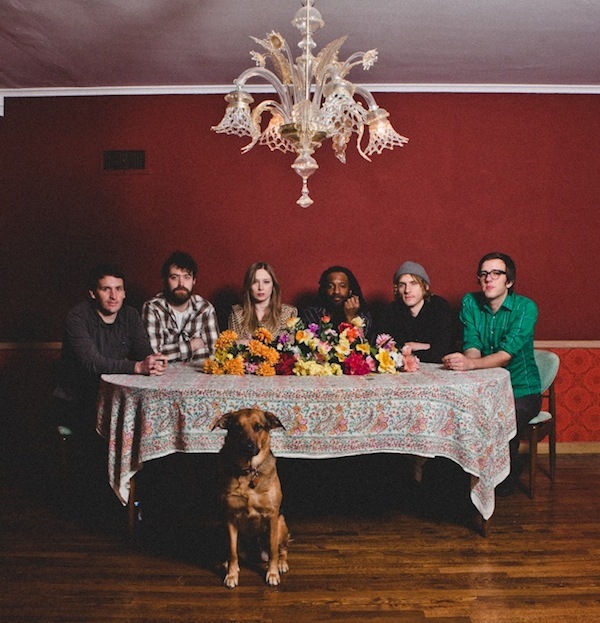 Utøya is the EP released by Seattle-based psychedelic country blues rockers Western Haunts in October 2011. I've recently discovered it, like so many good things, via KEXP and if you're not already familiar with these guys, please give this a listen. Standard Fare is Emma Kupa (bass and vocals), Danny How (guitars and vocals), and Andy Beswick (drums). Emma and Danny met as teenagers and formed the current band in 2005 after stints in other bands. Andy was recruited from a sibling's band. Their debut album was 2010's Noyelle Beat. A listener completely unfamiliar with the group likely will find some similarities with the energetic, danceable indie pop of Los Campesinos!, but I detect some of the jagged garage northern soul of Orange Juice and the jangle of C86, as well. And while the themes reveal increasing maturity of the band, the music carries the day. It really is a good indie pop album to begin the year. Out of Sight, Out of Town is out today on the Melodic label. The last time Miami's anthem-doom heavyweights Torche gave us a full album was 2008's groundbreaking Meanderthal, but word is they're about to hit us with another, from Volcom Entertainment, sometime around April. That's not to suggest they're a bunch of layabouts. The band -- Steve Brooks (guitar/vocals), Jonathan Nunez (bass) and Rick Smith (drums) -- created quite a stir with their 2010 EP Songs for Singles, ingratiating themselves with crowds and critics alike by imparting genuine metal-neck headaches whilst remaining thoroughly regular guys. And then there's the matter of their musical influences, as observed by Pitchfork's Tom Breihan in his review of Songs for Singles: "The band take as many cues from ragged 1990s indie as they do from bongwater-dripping 70s crunch-rock, and you can hear echoes of Guided By Voices and Superchunk reverberating around in there." Surely, you are thinking, this must be the typical Pitchfork practice of projecting their view of the music world onto some unsuspecting band -- and in the process totally snuffing their metal cred. And you would be absolutely right were it not for the fact less than a year later, Torche's three songs on their 2011 split 12" with English grinders Part Chimp were all Guided By Voices covers! Well done, Tom Breihan, well done. Oh, and we're not talking about covering "Teenage FBI" here -- these are, as they say on the satellite radio, deep tracks. A few months ago I posted a live video of Torche playing "Exit Flagger" from the EP, and here are the studio versions of the other two, "Postal Blowfish" and "Unleashed! The Large-Hearted Boy." Word also has emerged that the indispensible heavy music mag Decibel will feature a couple of unreleased Torche songs in its March issue as part of its Flexi Series. The songs are great, but even better is the fact that these little pull-out records are going to be worth meeeeellllions on Ebay in 50 or 60 years, mark my words. You can check out the songs on Soundcloud below, and order the issue of Decibel here. I saw them on tour with High on Fire and Kylesa a couple of years ago, and they're a ferocious live act. Be sure to catch them when they hit the road in March with two of Raleigh's legends, Corrosion of Conformity and Valient Thorr. Check here to see if they're coming to your town. I left off my indie pop posting last week with the great noise pop of Strawberry Whiplash. And I begin this week with another exciting noise pop band that I discovered through Strawberry Whiplash. Please get to know Singapore's Obedient Wives Club. The idea here simply is to take the Phil Spector girl-group sound and present it through a modern noise pop filter. It isn't a unique idea, as we have many favorite bands playing their version of the sound, including Dum Dum Girls, Best Coast, Frankie Rose and the Outs. But the point is the quality of the product. In this case, we have excellent, and sufficiently muscular guitar from Keith Tan, and a highly competent rhythm section in Mak and Supian. And front and center, we have vocalist YinQi Lee who possesses a voice that, in the words of the band, you want to make love to. But I suspect you will agree that I've written enough of an introduction. Help yourself to the aural pleasure of the self-titled 5-track EP from Obedient Wives Club. Here is the first track, "That Boy". 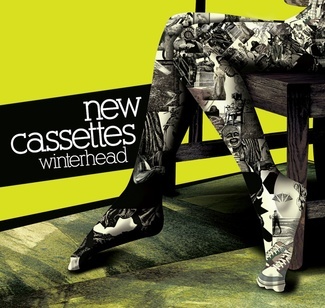 New Cassettes are a Northhampton rock band that, to my ears, are working in the place where The Foo Fighters might meet up with Franz Ferdinand. It's heavy on two of the P's - pop and punk. I've always felt that to do this kind of music well, a good drummer is essential and they've got a good one. 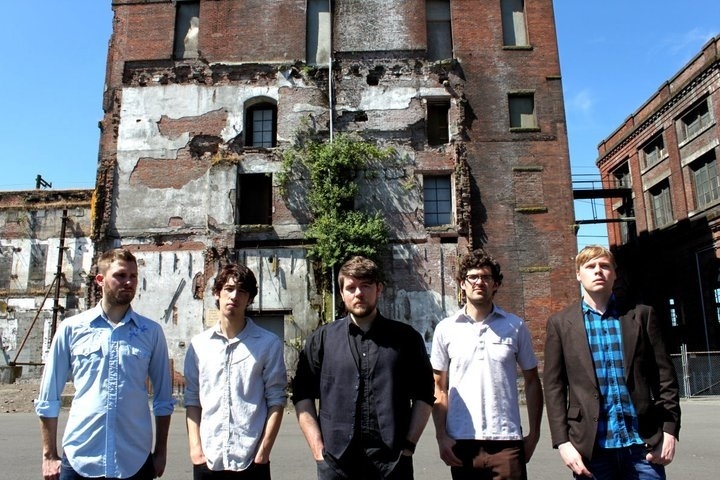 Band consists of Dan Battison (bass), Nik Gray (guitar/vocals), Tom Stubbs (vocals), Tommy Francis (drums/vocals) and Owen Reed (guitar/vocals).